Spoon’s latest album opens with a quivering, uneasy synth on the title track, “Hot Thoughts.” It sounds a little like an extrapolation of the dreamiest take from their last LP, the song “Inside Out” off of 2014’s “They Want My Soul.” But within a few seconds, as singer Britt Daniel’s lyrics and the guitar kick in, hopes of this album providing room for Spoon to flesh out the otherworldly beauty of “Inside Out” die away as the track turns into a pitch-down-the-plate clearly meant for modern rock radio. “Hot thoughts meltin’ my mind / Could be your accent mixing with mine,” Daniel sings unconvincingly. Spoon’s sexiness has never been their selling point, which makes one wonder why this album seems to aim in that direction. The third track, “Do I Have to Talk You Into It,” offers a ray of hope. The track is textbook Spoon: a simple, crisp drum part, those familiar repeated piano chords and the occasional intrusion of frenetic guitar. The half-warm, half-alienated tone the song takes is also classic — “Do I have to talk you into it?” Daniel wonders, mixing coyness and fear. “When I’ve known you such a long time / And we never had to act polite.” It reads like a cross between The National’s “I Should Live in Salt,” with its depressed, alienated refrain of “You should know me better than that,” and Spoon’s own laid-back breakup track, “Anything You Want” off of 2001’s “Girls Can Tell,” on which Daniel goodheartedly offers his ex a place to stay if she ever needs one, drawling, “If there’s anything you want, come on back ‘cause it’s all still here / I’ll be in the back room drinking my half of the beer.” The track even has a nice twist at the end: glassy, crystalline synths come in after the bridge as the song twinkles out. The problems of this album all seem to stem from a change to the Spoon recipe made on their last album — ironically, it was originally a change for the better. Spoon had always been cool, but “Inside Out” from “They Want My Soul” proved they could be beautiful too. But, having taken the electronic sound that made that song possible and having tried to craft an album out of it, the result is neither beautiful nor cool. Instead of making something as ethereal as “Inside Out,” they’ve made an album of songs that, with few exceptions, either seem aimless or are altogether too much of this world — specifically, the rock top 40s. Here’s hoping that Spoon’s next effort either resorts to the simple, crunchy guitars of the tried-and-true, or else do better justice to the promise of “Inside Out,” their most beautiful song to date. 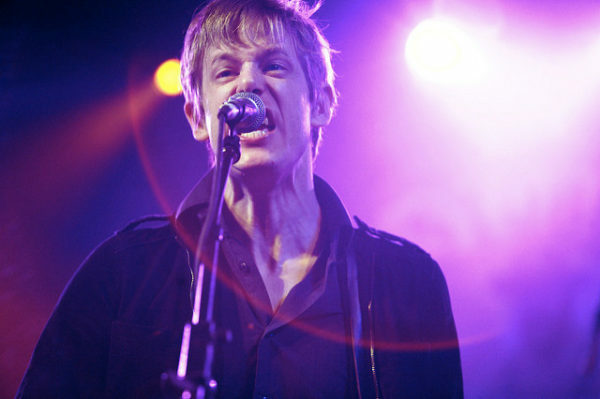 It always makes me sad to write a bad review for a good band, but I suppose it was only a matter of time before Spoon — a group that has not done a bad album this millennium, and not for lack of trying — finally showed cracks in their armor.